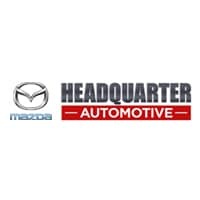 26/34 City/Highway MPG Headquarter Mazda may be a brand-new dealership, but we come from a proven, family-friendly dealership background. We look forward to meeting you, showing you our inventory, and helping you drive off with a car you’ll love! ONE OF A KIND! This Miata has $9000 of upgrades and has barely been driven. Edelbrock E Force Supercharger and so much more. CALL DEALER FOR DETAILS!